If you’ve got an e-book reader (maybe you got a new Kindle or Nook for Christmas) and have been looking to stock it up since yesterday you may have found that prices on a lot of e-books are a bit higher than you expected. There’s a reason for that. It’s a change to the EU rules on VAT which applies in all EU countries, so that from now on VAT has to be charged at the rate applying in the country of sale. So how does that affect things? First, let’s get one thing out of the way. You probably think there’s no VAT on books, and you’re right – but only about print books. VAT is charged on e-books, and always has been. But up until now it’s been charged at a lower rate based on the country the seller is based in – 3% in Amazon’s case, as that’s the rate applying in Luxembourg, where Amazon Europe is based. From now on it will be charged at 20% – the normal rate in the UK. There are similar changes in other European countries. It’s a problem for publishers and authors. Do we absorb the increase, keep prices unchanged and see a big drop in our income? Or do we pass the VAT rise onto readers, making book prices higher? It’s too early to say, but signs are that most publishers and writers will pass on the increase. Amazon has made that its default position, and automatically raised prices on January 1st. It’s much worse for people who sell their own books through their websites (which I don’t). They’ll have to register for VAT even if they’re below the VAT threshold. 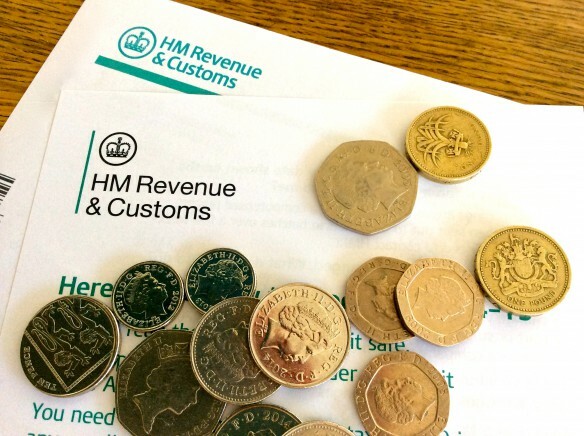 There’s a big campaign going on at the moment (hashtag #VATMOSS) to try get HMRC to change its mind about doing that to struggling small businesses. The good news is – The Cherry Blossom Murder will still be available at the current price of £1.83 for a little while longer. But don’t delay – the VAT monster’s heavy footfalls are echoing down the corridor as we speak! This entry was posted in Writing and tagged books, e-books, HMRC, mystery and thriller, VAT, VATMOSS, writing by Fran. Bookmark the permalink. Glad I got downloaded Haiku a few days ago, before any price rise! And I have to say I enjoyed it more than Cherry Blossom. So keep going, write more novels. I’m keen to see what Josie does next. Thanks! I’m writing the next one now!